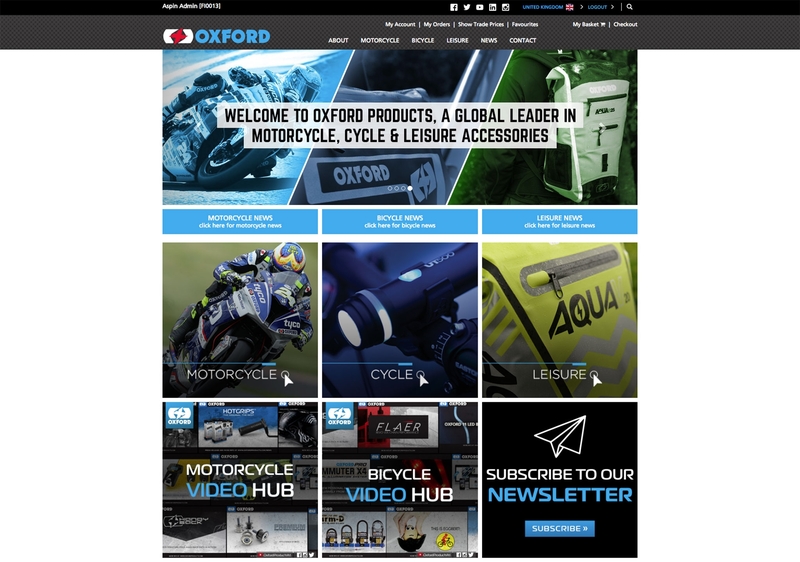 With customers from over 100 countries with 2,000 monthly orders, generating half a million in sales – it is safe to say that Oxford Products are getting the best out of their InterSell trade website. Implementing a streamlined online ordering platform was imperative for the motorcycle parts suppliers. With a complex pricing matrix and product restrictions for each account, the site has been configured to support regional requirements — and is used by distributors worldwide. Since launch in 2015, the business has continually strengthened their workforce, to support the growth of the site. 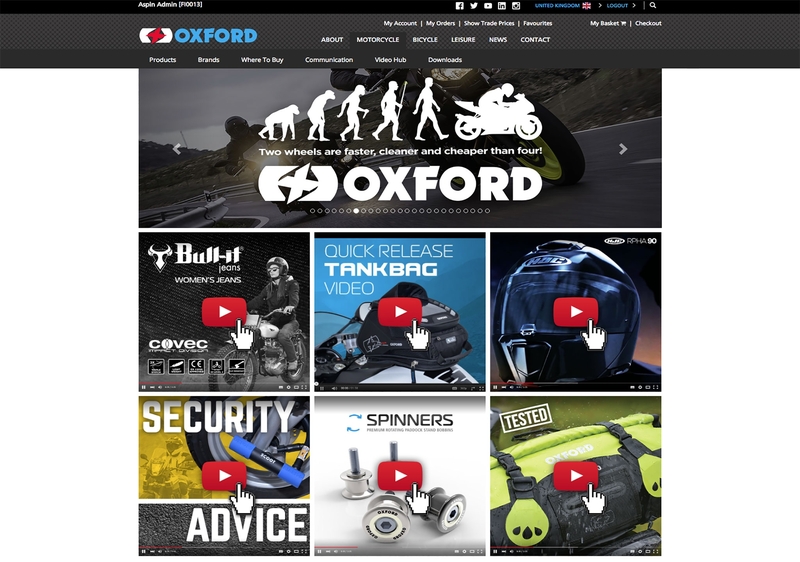 Alongside their InterSell website, Oxford also use PixSell iPad ordering, meaning that all trade and rep orders are consolidated and synchronised via Aspin’s cloud system. Using the same tool across the business promotes continuity and also ensures that stock information and product attributes are visible at the same time. Oxford Products have a complex pricing matrix which requires a lot of annotation and admin to maintain. Their previous, front-end system was unable to replicate this. As a result, price lists were manually applied to each customer account by just one member of staff. The business was struggling to manage the number of product restrictions by customer, territory or region applied to accounts. A lack of integration meant that head office had to set this up manually for each new account, and keep existing account criteria up-to-date. A high percentage of trade customers would regularly phone head office to place their orders. Although not discouraged, this method was time-consuming with occasional processing errors. Pricing lists are now automatically replicated across Oxford’s trade website. Robust integration with their Access back office ensures that both InterSell and PixSell work alongside each other — greatly reducing the amount of time and resource it takes to manage. Both InterSell and PixSell have amalgamated this information, which enables Oxford Products to be flexible with product and brand restrictions. With differing customers and regions, they have since been able to expand — distributing to over 100 countries. With live stock levels, calls to head office have decreased, with errors eliminated. New accounts are automatically assigned a trade login with incentives to ensure the site is regularly used and promoted. “Since launching our trade website we have seen it continually grow to reach a level we are very pleased with. Our customers are able to access all the information they need to make a purchase — with multiple products and prices restricted by territory, we’ve seen an increase in new accounts overseas. There is also less pressure at head office to manage the orders coming in, which enables us to focus on other areas of the business.